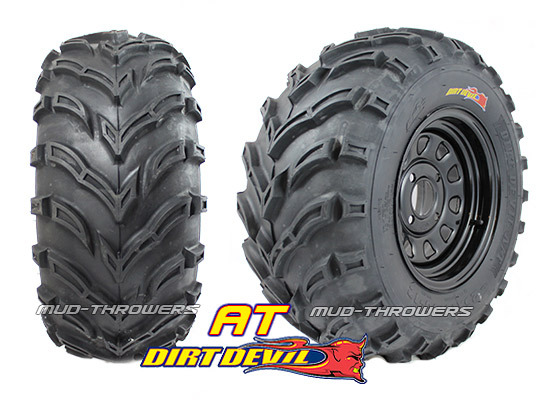 GBC Dirt Devil tires are versatile tires that are well-balanced with many features. They have a great ride characteristic, as well as a wicked tread pattern that gives excellent biting traction in mud, sand or hard pack conditions. They ride smooth on the hard pack and the 6 ply rating construction makes them puncture resistant and durable. ​We recommend the Dirt Devil AT if you are looking to replace your OEM tires without going to a tire that is too aggressive. They are an excellent choice for the money. Well balanced features including versatility, weight, and performance! Excellent performer and all-around tire.